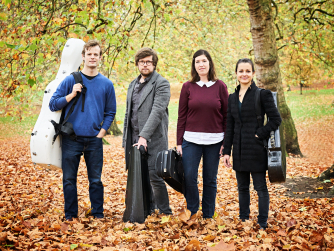 The Castalian Quartet is without doubt one of the most exciting new voices on the international chamber music scene. In 2015 they won 1st Prize and three special awards at the Lyon International Competition. In 2016, as the only European ensemble to progress to the live rounds, they won 3rd Prize at the Banff International String Quartet Competition, and were selected as YCAT artists. In 2018 they received a Borletti-Buitoni Trust Fellowship Award.